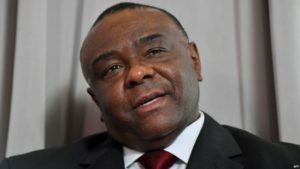 The former warlord and vice president of DR. Congo Jean-Pierre Bemba, who was acquitted last month of war crimes, will return to the Central African nation next week to submit his candidacy for president, a party official told Reuters. Earlier this month, the DRC said Bemba could apply for a diplomatic passport to return home after he was acquitted of war crimes in The Hague. The former warlord will return to DRC on Aug. 1, according to the secretary general of his party, the Movement for the Liberation of Congo (MLC), Eve Bazaiba. Bazaiba said that Bemba planned to file his candidacy with the national electoral commission while in Kinshasa. The mineral-rich nation is in the grip of a crisis over the future of President Joseph Kabila, who has remained in office, despite a two-term constitutional limit that expired in December 2016. Kabila has governed since 2001. Allies in his ruling coalition have, in recent weeks, advanced a legal argument they say would justify his candidacy. The day of Bemba’s release, President Joseph Kabila announced through Prime Minister Bruno Tshibala that he would not seek a third mandate, thereby respecting the country’s constitution. Bemba finished runner-up to Kabila in the 2006 election and commands a large number of loyal supporters in western Congo. He is still popular at home and recent surveys taken before Kabila’s announcement showed that he could win around ten percent in a first round of elections. Posted by Khalid Al Mouahidi on July 25, 2018. Filed under News. You can follow any responses to this entry through the RSS 2.0. Both comments and pings are currently closed.